 I’m Kimberly, a Registered Nutritional Therapist. I support inquisitive, busy & fun-loving Mothers, doing the daily JUGGLE & trying to find balance within their lives. You’re pregnant, a mother of small and growing children, or an amazing grandma. You are trying to do it all and you’re not sure if what you’re doing is “right” or “enough” (hint: it usually is!). You're feeling overwhelmed to the point that it’s taking a physical toll on your health. The more you try to feed your family “proper” nourishing foods, the more you feel anxious and the pressure to give up. There aren’t enough hours in the day to make healthy meals, clean the house or even think of a nightly soak in the bath. We all feel like this — overwhelmed at some point in our lives. Us mamas need support systems and we need to feel like we have a sisterhood. With the proper resources and the proper “tools,” YOU can find the balance. Raising your child on the proper wholefoods is the beginning of a lifelong, healthy relationship with food. A happy and balanced MAMA = a healthy family that can nourish and thrive. We are healthiest when we are eating well – and it doesn’t have to be hard. Moms change the world – by mothering – every single day. I have been there; I am there, BELIEVE me when I say that. After two bouts of adrenal fatigue, pneumonia, a congenital heart condition, with my family and close friends living hours away... I understand the need for a support system. THERE IS A WAY TO FIND BALANCE, RAISE YOUR FAMILY HOLISTICALLY, AND STILL NOURISH YOURSELF. I’ve had adrenal fatigue twice: the first time when I was 22, hormonal imbalance to the Nth degree. I was a complete emotional and physical mess. It took 10 days to feel semi-normal and then it took months to be 100%. The second time, at 31 years old, it was spiritual. I was feeling like I was stuck in a broken body that I didn’t know how to fix. I was achieving everything that I wanted to in my life, but I was still sad, scared and anxious … and was worried that I was going to feel that way forever. Since then, I’ve been on the edge of the metaphorical breakdown a few times, but I’ve managed to pull myself back into health by incorporating very specific habits into my busy day, running a business and being a stay-at-home mom. I started using the physical, mental, and emotional tools at my fingertips and life was infinitely better … and then I ended up with 2 kids under the age of 3. It turns out that I had all the answers inside of me, I just had to start listening. in your family. I can show you how! With nutrition consultations, lifestyle changes, supplements, essential oils, online support groups and programs like the JUGGLE you'll be on your way to nourishing yourself while raising your family! I am you and you are me. You can be everything you hoped to be, but you don’t need to do it alone or know how to do it all at once. I am here for you every step of the way. You should never compromise your health, your time and your family life trying to do it all or trying to do it alone. Consultation services from planning pregnancy, while your pregnant to becoming a new MAMA! Our consultations for Babies, Toddlers and Children will help guide you in areas like introducing solids to working with allergies and picky eaters! A fitness, diet & support system + e-book to help mothers be the true health leaders in their family — one squat at a time. Complete with 5 Day Meal Plan, a welcome email with monthly check in newsletters with nourishing and supporting information.